This is truly where our inner nerd gets to thrive. We utilize our combined 50 years of experience, a wealth of corporate resources, and our strategic partnerships to deliver quality civil engineering and design services. Our iterative design process means you will receive high quality plans and specifications every time. 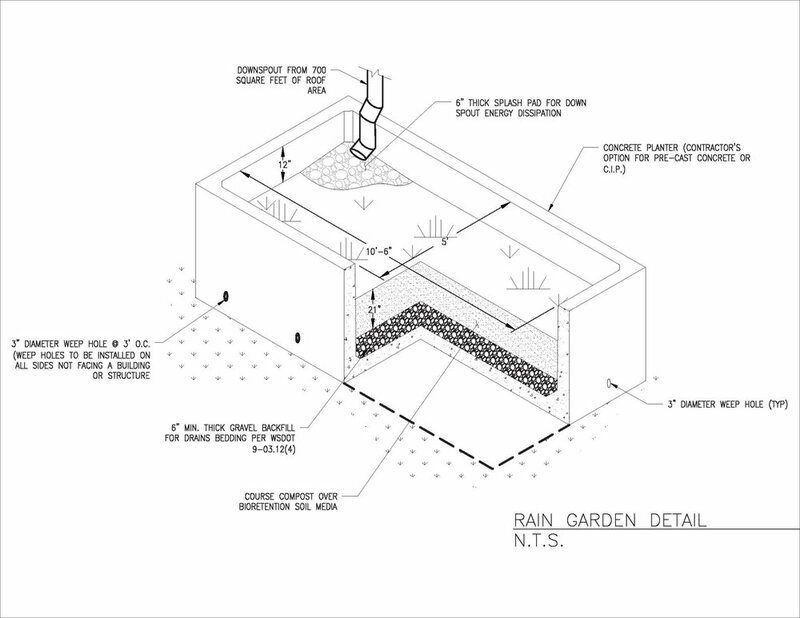 Whether complete infrastructure plans are required or a simple temporary erosion control plan, our team has the knowledge and skill to design with purpose. Through strong client relationships and regular communication, Pacific Stormwater thoroughly understands stakeholder priorities and is efficiently able to capture your vision. Whether designing within an environmentally sensitive or aircraft operational area, our featured projects exemplify our innovative solutions to complex client challenges.